Our first meeting following Back-to-School night was a huge success! We packed the library with parents and teachers who were full of enthusiasm for the year ahead. Thank you to everyone who attended. If you missed the meeting you can catch up with the Meeting Minutes. Our next meeting will be on Wednesday, October 10th at 6 p.m. in the school library. Childcare is provided. 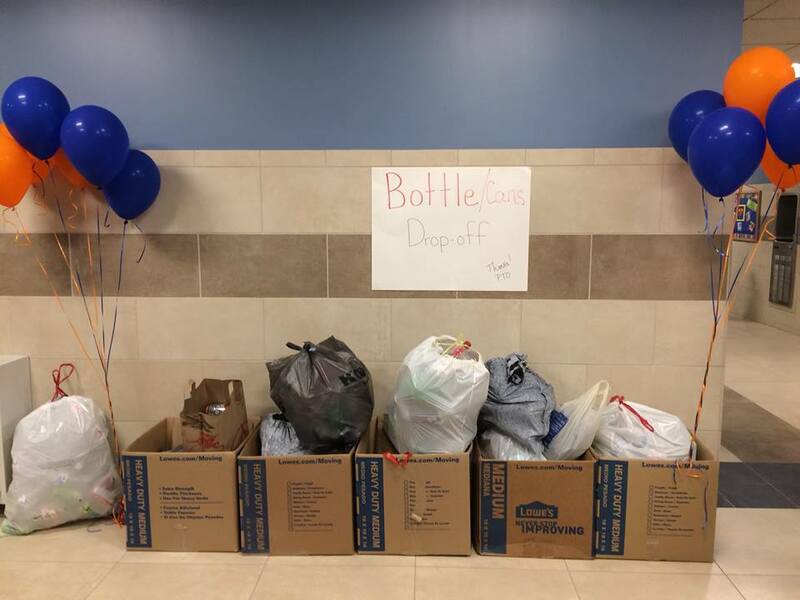 We asked parents to bring bottles and cans to school, and we had a tremendous response. Thank you! Through our partnership with Kraig’s Kegs (Arnie’s Produce) on Route 5 in Sherrill, our PTO earns money from bottle and can returns. We will periodically host bottle and can drives, or you can bring them to Kraig’s yourself any time–just tell them they are for Seneca Street School. Thank you! During the meeting on September 12th, our new board of officers was officially voted in. Congratulations and thank you to the following members who stepped forward to volunteer. Jennifer Roberts is the Communications Chair in charge of Facebook, our website, flyer design, and other outreach. Events and dates are subject to change. We will keep you up-to-date with final plans. For a schedule of upcoming PTO meetings and events, view our calendar. We were finally successful in having the old PTO Facebook page removed! There had been some confusion with two pages on the site. If you’re a Facebook user, please ensure that you “Like” the current Facebook page, which we update often. We have also created Facebook discussion groups for our PTO committees. These are private groups where you can help plan events and fundraising. Joining the group does not mean you need to take charge! Feel free to join whichever committees interest you. Our Boon Supply online fundraiser is ongoing through November 9th. Boon sells a variety of attractive and useful household items, jewelry, and even gourmet popcorn. Items will ship straight to your door, and anyone in the US can shop to support our school. Our fundraising goal is $1,000 to pay for Merry-Go-Round Playhouse assemblies this year. The Seneca Street PTO earns 50 percent of every item purchased. Thank you for your support, and we hope to see you at our next meeting on October 10th at 6:00!